Awwwyus. Guys, there are nine days left until Halloween and I am back with another makeup tutorial! First off, can I just say that I'm so proud of myself for plowing through and doing more than just one tutorial this year. 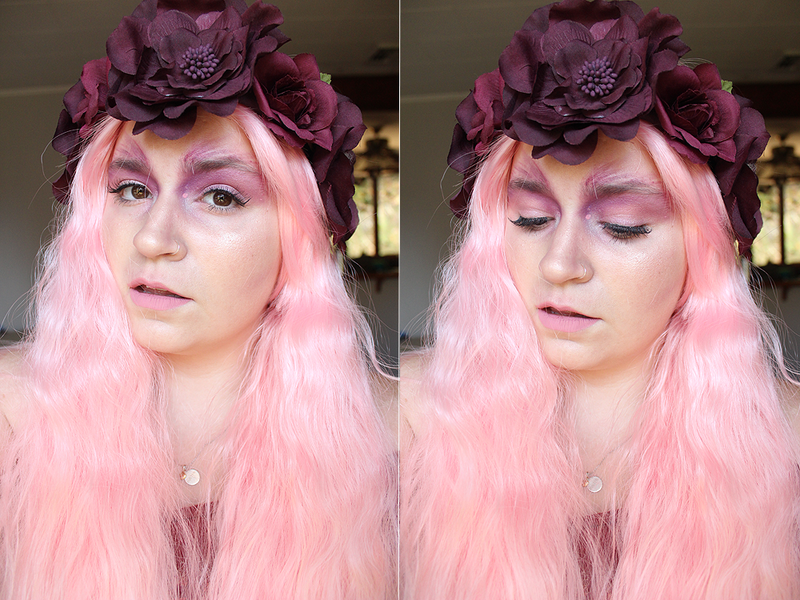 I normally have a huge list of costumes and makeups I want to do and then I'm like, "Crap. Next year. For sure." So yay Noelle! 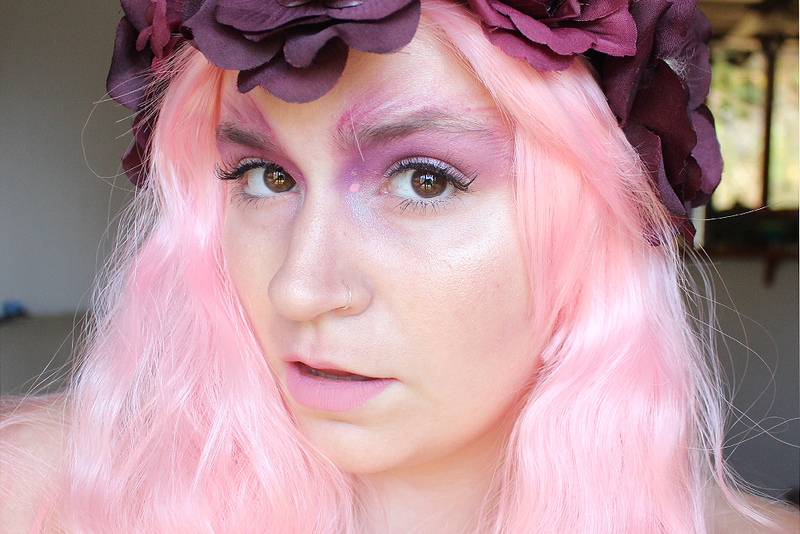 So recently, I received this gorgeous pink wig from the amazing people at Wigaholics and had a blast coming up with this easy, pink fairy look for Halloween. I actually have two other costume ideas I'd like to use with this wig as well. Would you guys be interested in seeing them? We can do a one wig, three looks kind of thang. Let me know in the comments! Let's talk about this wig real quick, shall we? I absolutely love this one from Wigaholics! It's the Baby Pink Long Wavy 75cm Wig and it's amazinggggg! It's a basic cap with clips and is made from Hiperlon Fiber. It can be styled with heat tools and comes with a wig stand, brush and wig cap. I can't get over how well this is made and felt confident that there would be no issues (falling off, shedding like crazy, sliding down, etc.) with wearing this out. The quality is so luxe but the price ($30-40) is so on point. The site has so many different wigs to choose from and covers a variety of looks. From short styles to insane mermaid manes, ombré to solid color, Wigaholics seriously has it all. 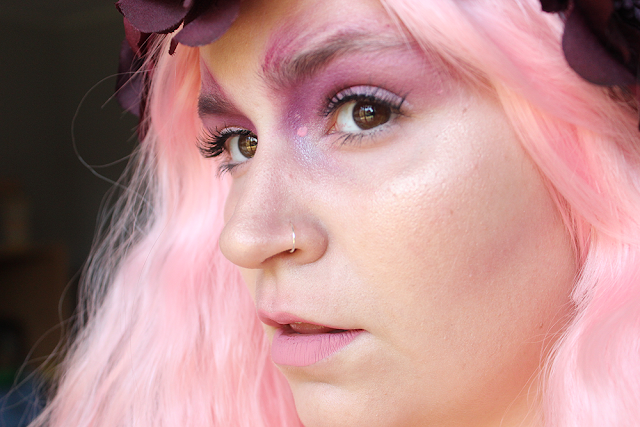 For this look, I really wanted a dewy, almost ethereal foundation base. To achieve this, I mixed my It Cosmetics CC+ Cream (in light) with Rouge Bunny Rouge Seas of Illumination (one pump of cc cream to two big pumps of illuminator) and applied that with a damp Beauty Blender. 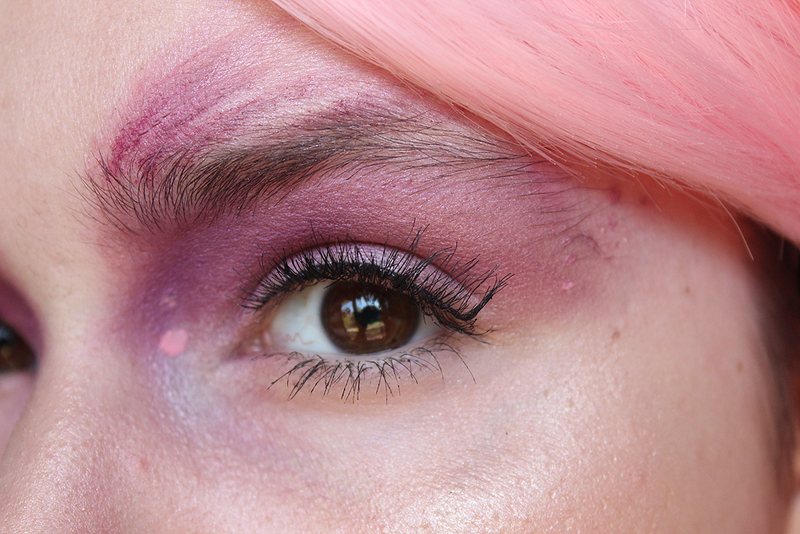 Next, I laid down MAC Paint Pot in Painterly as a base for my eyeshadows onto my lids. Then I took Anthem from the Kat Von D Mi Vida Loca Remix Palette and took that into my inner corner and brought it up to my eyebrow and blended it out to the tail of it. Then I took Swoon into my crease and blended it all the way out to my temple. For the lid, I patted Love onto my lid. Then I mixed Love and Swoon together and took that back into the crease to blend it all together seamlessly. Last minute, I decided to pat Skull into the inner corner for a nice iridescent effect over Anthem. Then I wet Rewind and Love and drew long feather-like strokes coming out of my eyebrows. For lashes, I went with Ardell #220 Demi Wispies and Tarte Lights, Camera, Lashes on the bottom lashes. For dat glo tho, I applied ColourPop Wisp and then Becca x Jaclyn Hill's Champagne Pop over it. Lastly, for the lips, I wanted to keep it lowkey and light and went with ColourPop Shimmy but you can change it to whatever you want. A pastel lavender would look amazing! * Wig was sent to me for review.